Since 1896, the year our company was founded, our name has been a synonym for excellent quality and innovation in the field gear construction. GFC Antriebs Systeme GmbH presents itself today as an efficient and market-oriented company for manufacturing of high performance and valve gear units. Gear units and components for plant and mechanical engineering. Nearly everywhere where machines and plants are operated, gear units are used. As links between motor and the machine parts to be operated, they offer cost-efficient solutions to various types of movements - rollers drive conveyor belts, machines label bottles, elevators transport loads. What appears to be rather simple at first sight, turns out to be much more complex when it comes to the implementation. The list of the requirements on mechanical drive systems or individual gear units is long, be it resistance to aggressive media, low-noise operation or maximised efficiency. Precision-made components in combination with thoroughly designed details ensure reliable operation of gear units. Machine manufacturers and contractors precisely know the requirements and rely on our products, since we have gained a comprehensive know-how in this field. Nearly everywhere where machines and plants are operated, gear units are used. GFC worm wheel sets consist of case-hardened and ground worm shafts combined with worm wheels made of high-quality, wear-resistant centrifugally cast or continuous cast bronze. Worm wheel sets are characterised by shock-resistant, vibration-absorbing and low-noise gear teeth and provide large transmission ratios within a single stage. Self-locking at standstill is possible. We produce worm wheel sets in standardised type ranges or according to the specifications of our customers. Sophisticated and individual solutions are provided by using modern and high-precision gear cutting machines and by continuously improving our technologies. GFC worm gear units have excellent characteristics such as low-noise and shock-absorbing torque transmission. The hardened and groand tooth flanks of the worm shaft as well as the high-quality bronze of the worm wheel ensure low wear and a long lifetime due to the high production quality. The simple but nevertheless efficient design offers substantial advantages in terms of space compared to other gear types. Due to their silent and steady operation. GFC gear units are ideal for use in elevator construction. We supply completely assembled elevator gear units with traction sheave, spherical roller bearings, motor and incremental encoder. The double brake (with monitoring as an option) can be controlled separately and provides utmost safety. Multi-stage tooth profiles achieve high efficiency while keeping energy consumption at a minimum. 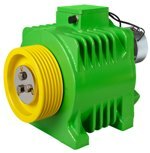 Due to their compact design, GFC gear units are suitable for applications with or without power room. Elevator gear units can be supplied with handwheel, traction sheave clamp, encoder cable or preset frequency inverter. To achieve higher transmission ranges and low-noise operation, the worm gear units can be combined with a GFC helical gear unit. The first stage is made of standardised helical gears. High efficiency and torques allow for a compact drive design and reduce both space requirements and cost. 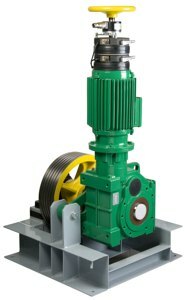 Helical worm gear units are used for lifting and lowering loads and holding them safely in defined positions. To ensure optimum sizing for the machines and systems of our customers, GFC gear units are available in different sizes. Low-noise gear versions are the real challenge in stage engineering. No matter if the curtain falls, the scenes are shifted or the stage setting is changed. The GFC �Whisper gear� has a noise level of less than 55 dB(A) when under load. This is ensured by smooth interaction of gear, electric motor, dual brake and incremental encoder. Due to its excellent noise absorbing properties, the first high-speed gear stage is implemented as worm gear stage. The second stage consists of two helical, low-noise precision spur gears. Combined with spherical explorer roller bearings, they guarantee unimpaired cultural pleasure. GFC Double worm gear units have a very low efficiency. Nevertheless, the combination of two worm gear units reduces the output speed at minimum space requirements, which may sometimes be the only solution. GFC supplies dual stage double worm gear units and double worm gear motors in three sizes with various transmission ratios. The drive unit can be designed as solid shaft or flange with coupling; the output drive as solid shaft, hollow shaft or in combination with an output flange. No matter, whether you go to airports, underground stations or department stores, it is impossible to imagine everyday life without escalators. The core of all systems is the drive technology, imperatively meeting highest demands. A matter of course for GFC. We guarantee high resilience and operational reliability, long service performance, safety and economic viability. Our gear units keep the noise-level constantly below 55 dB (A), are lubricated for life and subject to continuous quality control � from incoming goods to final inspection at the acoustic measurement room. GFC fulfils all requirements according to standards DIN 3990, EN 115 and APTA according to the customer�s product specifications. Solar power plants require robust drive systems with high accuracy, efficiency and virtually maintenance-free long-term operation showing a high degree of reliability. Only components specially designed for outdoor use can meet the requirements. 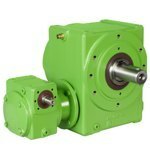 GFC Worm gear units are ideally suited for the azimuth adjustment of a tracker and heliostat, since they can be used for virtually backlash-free transmission ratios and very slow movements. By target-oriented selection of defined materials, required parameters such as perfect wear behaviour, high fatigue strength and long-term corrosion protection are achieved and implemented. On request and in customised versions, GFC cross-helical gear units, GFC screw jacks and GFC bevel gear units are part of GFC comprehensive product range. Screw jacks transform rotary movements into linear movements and perform controlled lifting, lowering, pressing and positioning procedures. Screw jacks are often used as electromechanical replacements for hydraulic and pneumatic elements. Bevel gear units can be recommended for applications with small transmission ratios and rectangular torque transmission. 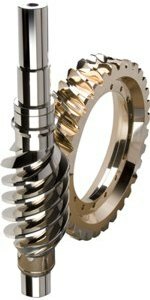 Cross-helical gears are rarely used and only for small outputs and transmission ratios. 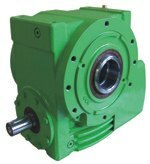 GFC worm gear motors are supplied with 3-ph AC asynchronous motors and an output range between 0.09 and 55 kW. Pole-changing motors, brake motors and explosion-proof motors are also part of the scope of supply. 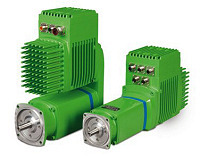 If required, the motors can be equipped with single or dual brakes, incremental encoders and handwheels. On request, we offer complete units with frequency inverters. As one of only a few servo drives, the Milan drive is equipped with all components required for operation in one housing. After connecting the power supply and the data lines, the drive is immediately ready for operation. During the last few years, there has been a growing interest in direct drives. Small wonder as they offer various advantages when designing competitive machines and systems, provided that the necessary electrotechnical and mechanical knowledge is available. GFC direct drives generate a high torque (torque motor) or a high thrust (linear motor) at low frequency. They run at low noise, evenly and operate efficiently and with high precision during their entire lifetime. Furthermore, direct drives are economically viable. Cost-intensive maintenance becomes obsolete as there is virtually no mechanical wear. Should repair become necessary, the motor is replaced as a whole. A lubricant is not required � another environmentally friendly aspect.